When? 12 April 2018 / 12.00pm : 2.00pm. Electric Galway, 36 Upper Abbeygate Street, Galway. 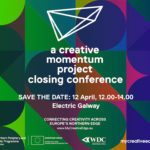 After our planned ‘a creative momentum project’ closing conference fell victim to the ‘Beast from the East’, ‘a creative momentum project’ closing conference 2.0 will be a somewhat different animal. This casual lunchtime event will showcase some of the creative sector support models developed, implemented and refined during the project. In particular new resources and toolkits that can be useful to creative entrepreneurs to internationalise and develop their business. 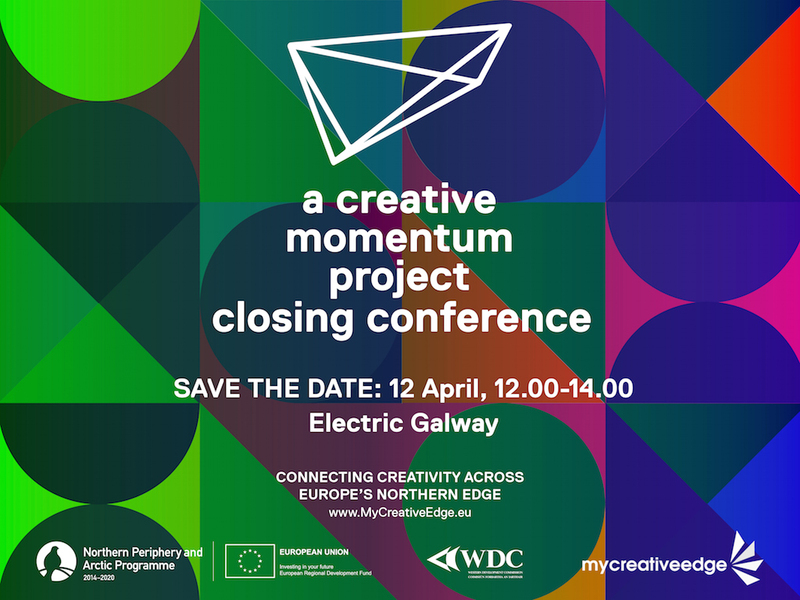 A panel discussion, featuring creative entrepreneurs and support agencies, will discuss the themes of creativity, peripherality and the future; and there’ll be plenty of opportunity to network and join the debate.